Welcome to the book tour for Forbidden Fires by Bobbi Smith! Our coverage of this contemporary romantic suspense includes interviews and guest posts, as well as some excerpts and reviews. Plus as you follow the tour, you have even more chances to leave Bobbi a question or a comment, and more chances to enter the giveaway! In today’s interview, she gives us a lot more insight into this latest book and some of her other writing endeavors. She also reveals one of her bucket list accomplishments. When I was young, my parents took me to a steamboat museum where I learned about the tragedy of the steamboat Sultana. The memory haunted me all those years and inspired this book, my second, Forbidden Fires. I read every book I could find on the Sultana, and there weren’t very many. Horrible disaster that it was, I believe it was covered up back in the day. To think that the soldiers would survive the prison camps only to die on their way home at the end of the war was heartbreaking to me. The steamer was only supposed to carry about 400 passengers and crew, but when she set sail on her last voyage there were over 2000 people onboard—and the Mississippi was flooding. I love history, so I wrote historical romances in the beginning of my career, and then I discovered my true love—Western romances. I love strong heroes! Over the years I’ve written more than 40 novels and a bunch of novellas. Romantic Times magazine crowned me the Queen of the Western Romance. I was honored. Cowboys and Indians are awesome heroes! I also love smart, independent heroines, so I did a series called Women Ahead of Their Times. All those books have the word lady in the title. I also wrote two contemporary faith-based books, Haven and Miracles. I’ve grateful to have had a wonderful career. For your first book, write what you love. There’s no guarantee you’ll sell your first book, so do it for the love of it. I love Julie Garwood’s books! She’s a terrific author and I’m reading one of her books now. I emailed her and told her to write faster! I live in St. Charles, Missouri, just outside St. Louis. Old Town St. Charles is a great tourist spot right on the Missouri River. The confluence of the Mississippi and Missouri rivers is a short drive away and it’s awesome. Of course, don’t miss the Gateway Arch downtown, the St. Louis Zoo and Forest Park. They are all amazing. Funny you should ask this question. There was a male model in the Sears and Penney’s catalogs early on in my career who I thought was fantastic. Years ago, I sent his picture up to Dorchester Publishing to see if they could get him for one of my book covers, but they said they couldn’t afford him. A few years back, I decided to make finding out who he was an item on my bucket list. I sent his picture to the famous cover artist Elaine Gignilliat and she told me his name was Norbert Tomas. Thrilled to finally know his name, on my birthday I went to his website and told him it was on my bucket list to tell him “hi” and let him know what an inspiration he’d been to me over the years. I never expected to get a response, but lo and behold, he got back to me within the hour. And he was, and is, a true gentleman. ( What a hero! Just that I hope your readers enjoy my books! Thank you for having me! When Ellen Douglass saves the Union officer from the cold river, she doesn’t think this one action will so alter her future. But as Price holds her is his arms, they try to forget that they fight on opposing sides and will be kept forever apart. The newly freed Union soldiers trudged up the gangplank of the steamboat Sultana in seemingly endless numbers. Although the memories of their ordeal at Andersonville Prison Camp were painful, their mood was jubilant. The war was over. They were going home! Onboard, a tall Yankee officer stood at the rail grimly watching the loading. Captain Price Richardson was frustrated and angry. He’d witnessed many acts of incompetence during his time in the army, but what was happening today was beyond belief. Price was enough of a river man to know it was foolhardy to challenge the Mississippi this way. Going upriver against the flood was hard on a steamboat, but on one seriously overloaded, it could be suicide. “Do you think they’re overloading it?” Coop remarked sarcastically. Realizing they weren’t going anywhere soon, the two men sat down on the deck to await their departure. As evening came, the Sultana, which should only have been carrying about 400 passengers, finally began her trip north against the swollen river with over 2,300 passengers and crew onboard. You can follow Bobbi on Facebook in the group Bobbi Smith Books. The foreign rights to Ms. Smith’s books have been sold to China, France, Germany, India, Israel, Italy, Russia and Sweden. Smith’s current publisher is Amazon. 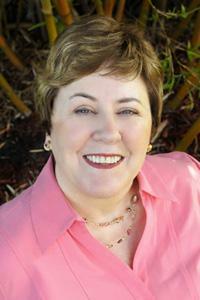 Bobbi has written two faith-based contemporary novels – Haven (https://bobbismithbooks.com/product/haven) and Miracles (https://bobbismithbooks.com/product/miracles)- using the pseudonym of Julie Marshall. Bobbi will be awarding $10 Amazon or B/N GC to a randomly drawn winner via rafflecopter during the tour.